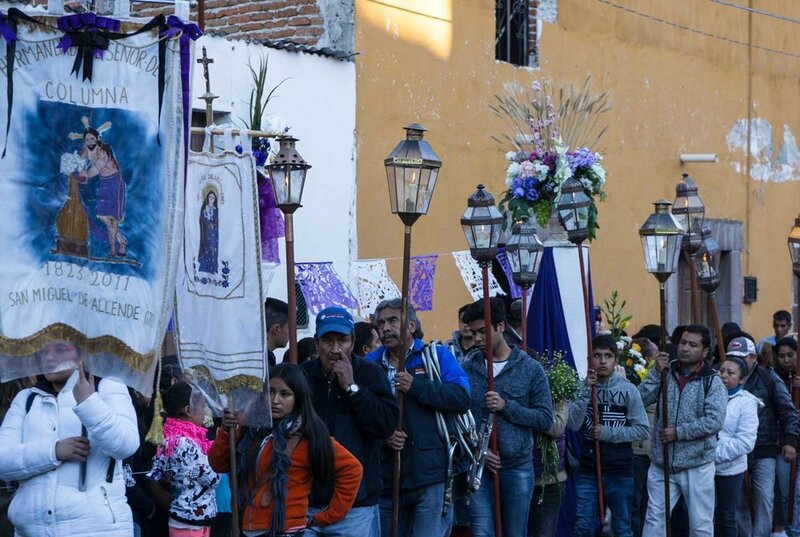 Even before Semana Santa, or Easter Week, is upon us with all its fanfare and broad emotional spectrum, a major religious event takes place here in San Miguel de Allende that outshines most festivals. Experienced only in this part of Mexico, it is held nowhere else in the world. 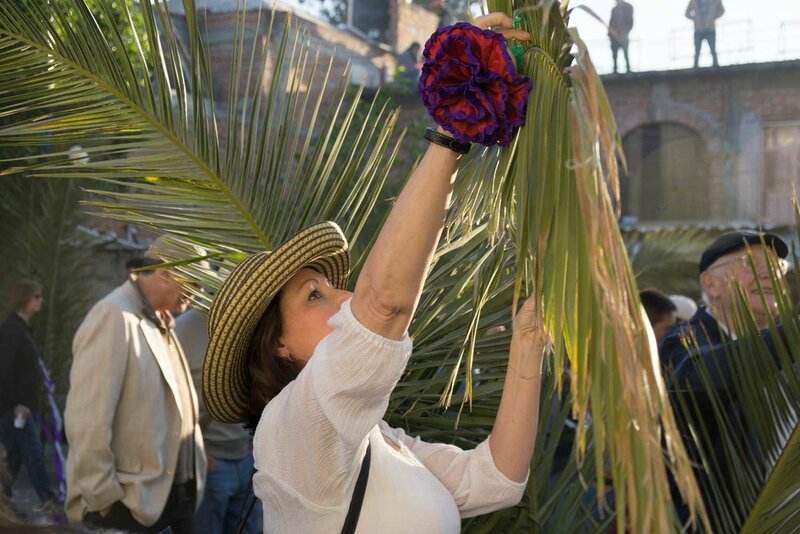 Like other Catholic countries, Semana Santa is a highly revered and celebrated time. As I've learned over the years in this historically conservative state of Guanajuato, religion permeates everyday life. After the 1910 Revolution, radical secularization such as the take-over of the churches and monasteries by the government led to the two year Cristero Rebellion. It took place right here in central Mexico where the anti-Catholic and anti-clerical policies of the new federal government were fiercely resisted. Almost every weekend, a saint or other religious figure is honored here. 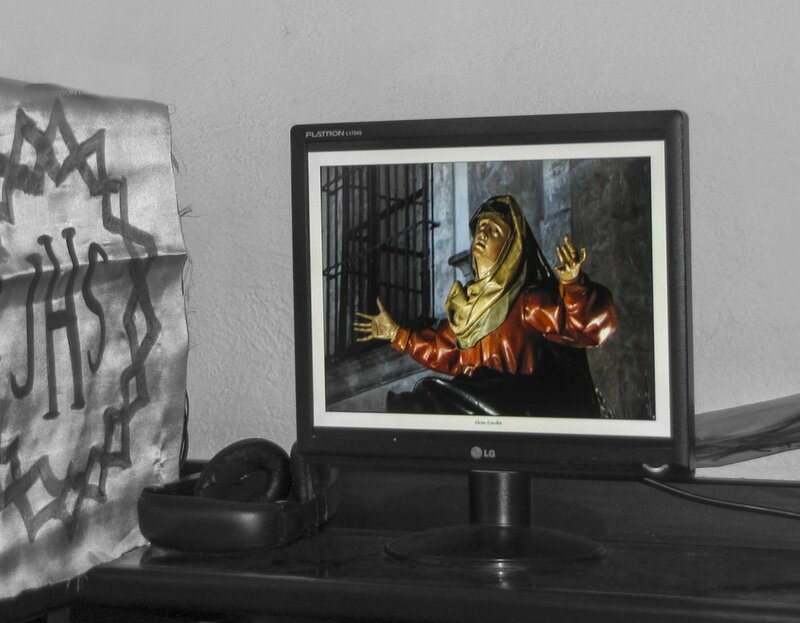 Semana Santa — lasting for over two weeks, is perhaps even more prominent than Christmas. I might surmise that the crucifixion resonates particularly due to the large scale slaughter and oppression of the indigenous people incurred by the Conquistadores. An ancient proclivity for elaborate rituals and offerings was not wiped out however. 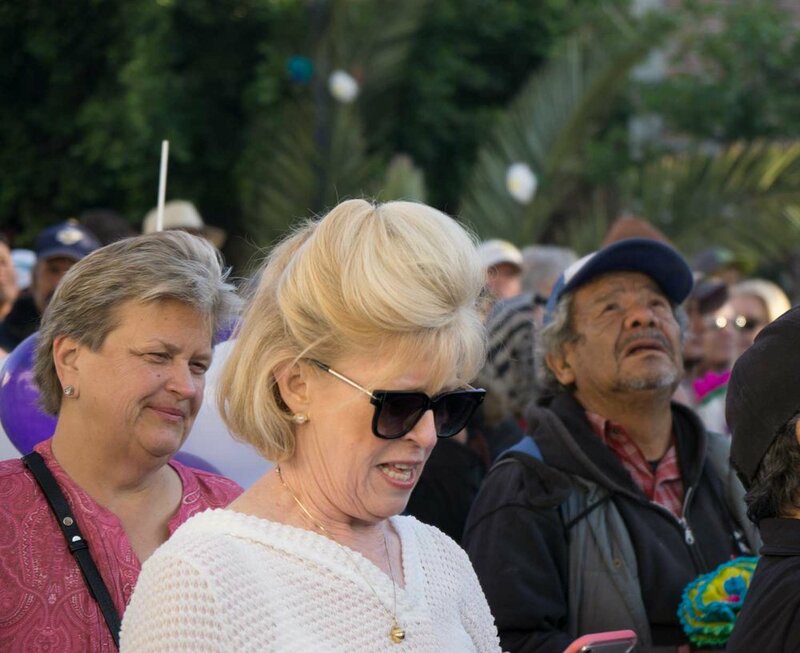 Just recently, I witnessed this in the impressive six hour procession of El Señor de la Columna, Our Lord of the Column, which, while three weeks sooner, announces Easter in all its glory and fanfare. Thousands of pilgrims first gather at midnight at the esplanade of the baroque 16th century Santuario Atotonilco, a major pilgrimage destination and UNESCO World Heritage site. 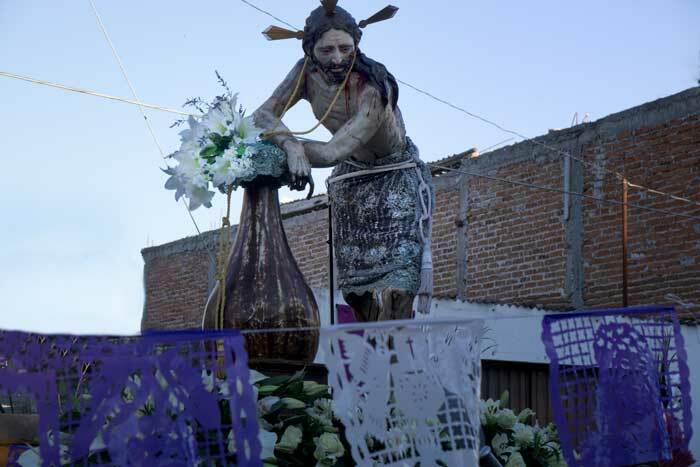 Before dawn, they proceed for 12 kilometers to San Miguel's Temple of San Juan de Dios, bearing centuries' old statues of a life-sized and very realistic, flagellated Jesus Christ leaning on a column for support. Accompanying him are elaborate statues of Saint John and the Virgin de los Dolores or Mary, trailing a long blue velvet cape. 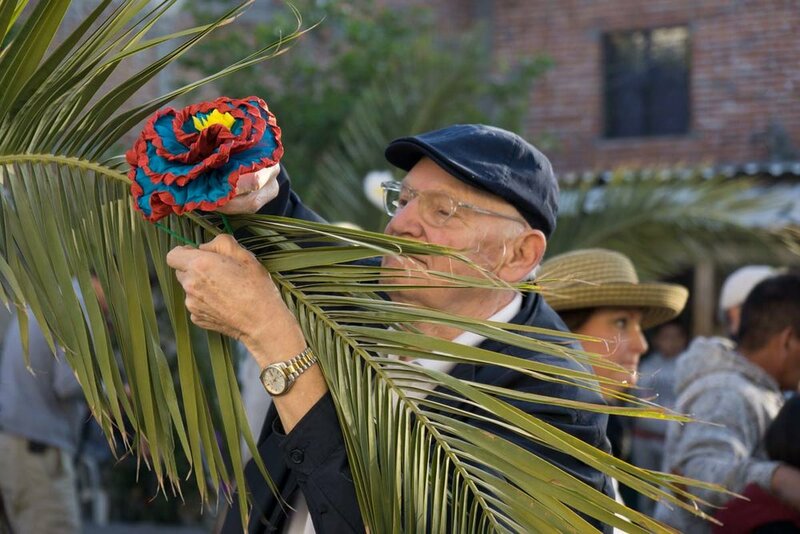 Apparently, this tradition began in 1823 when San Miguel was suffering from a plague. El Señor de la Columna, molded from traditional Chichimeca materials—corn stalks, corn starch and powdered orchid bulbs, was transported here. According to legend, the townspeople were saved. To witness this much anticipated procession, I, like many hundreds, yanked myself out of bed before dawn and headed to the Avenida Independencia, normally clogged with traffic. 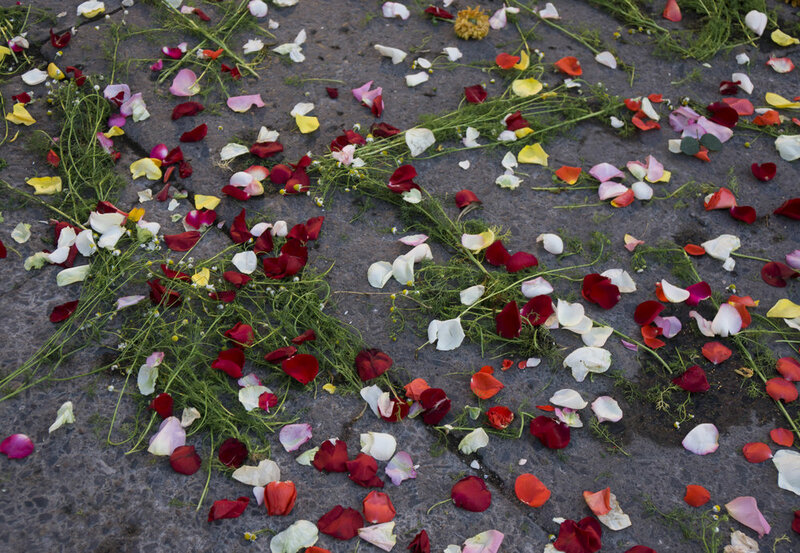 Upon arrival, I was first struck by the extensive sweetly scented carpets of fresh chamomile flowers, palm fronds and an occasional sprinkling of rose petals framing and surrounding extensive religious and iconic paintings made from dyed wood chips. 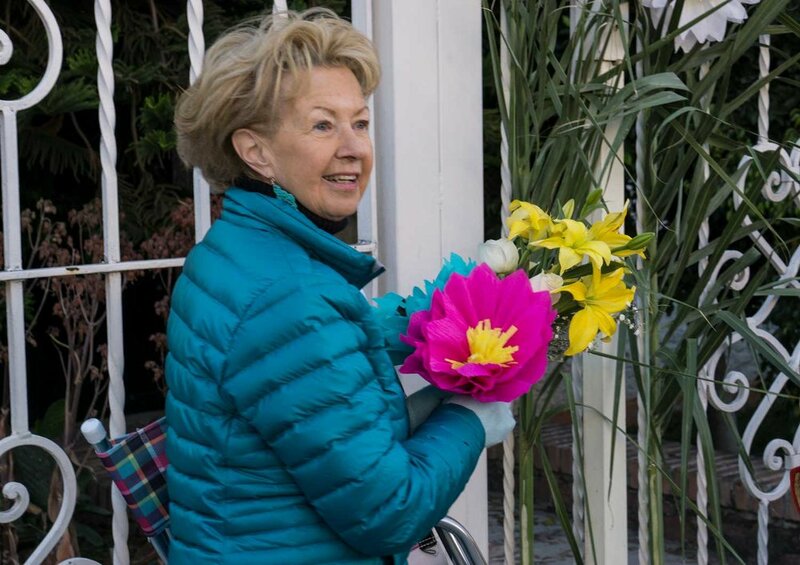 Adding to the landscape or rather streetscape were candles, colorful paper flowers and potted plants. 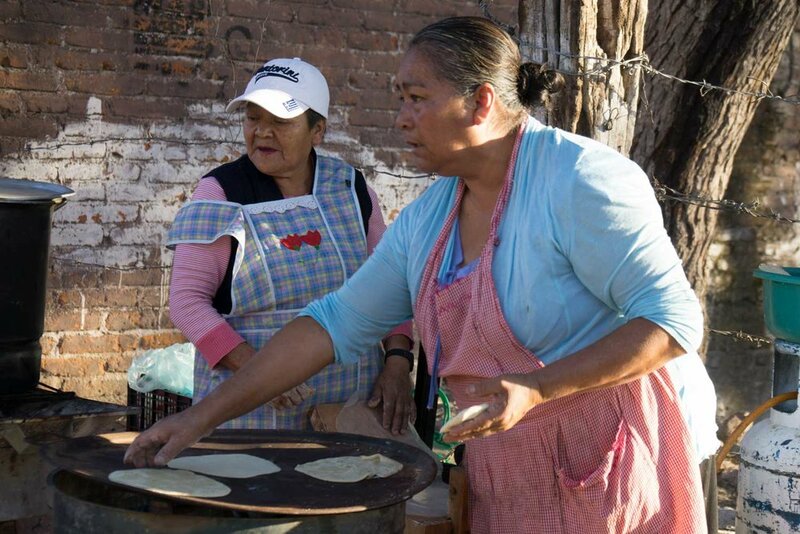 People wrapped in shawls, blankets or simply jackets awaited as tortillas and tamales were being prepared by the side of the street. And of course, there were large metal pots of atole, a Nahuatl corn based hot drink. While avoiding to step on these recently created artworks and stopping to admire the elaborate flower arrangements, I continued on. 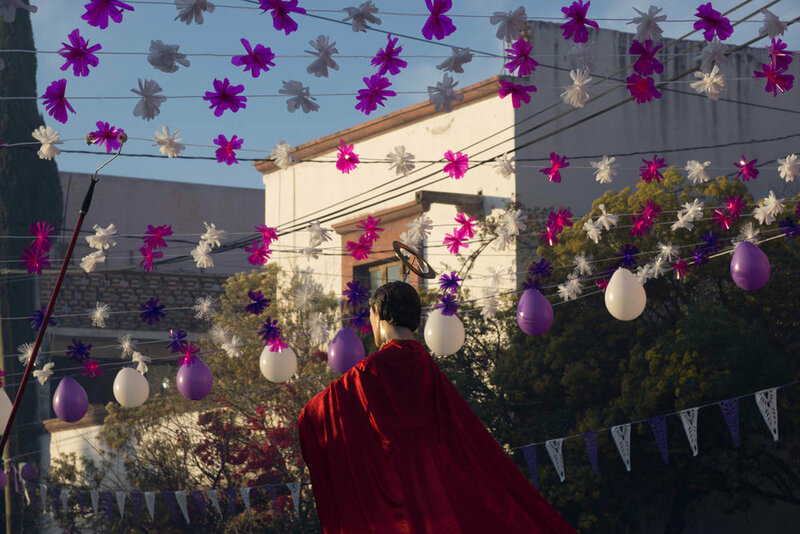 Strewn above and about were ribbons, balloons, festive lights and lacey purple and white paper flags whose colors signify suffering and redemption. Not to be avoided were the ever so piercing and brusque explosions of cohetes i.e. fireworks. To me, a gringo, they seriously contrast with what is a solemn occasion. After a long wait, "pall bearers" slowly proceeded upholding the heavy statues while marching Roman gladiators made the production all the more theatrical. It was also a feast for the senses. Not only the scent of the chamomile permeating the cool morning air but the solemn wind instrument music and adults' and children's chanting made this a truly religious street and community experience. As I followed behind the procession, what had been a "highway" of meticulously designed and crafted artwork was rapidly disappearing having been trampled on and then rapidly swept away.